Founder and Chief Executive Officer, The Social Research Centre Pty. Ltd.
Darren is an expert survey methodologist and has worked in social research and survey design since 1984. From 2010 to 2015, Darren played a leading role in the introduction of dual-frame telephone surveys to Australia. More recently he has been the driving force behind the establishment of Australia's first probability-based online panel – the Life in Australia panel. In 2014 he was awarded the Research Industry Council of Australia’s Research Effectiveness Award for Innovation and Methodology. 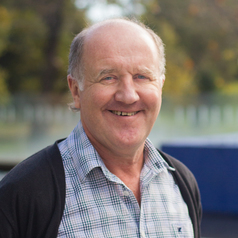 He is a Campus Visitor at the ANU Centre for Social Research and Methods and an Adjunct Professor with the University of Queensland’s Institute for Social Science Research (ISSR). He is also a Fellow of the Australian Market and Social Research Society and has QPMR (Qualified Practicing Market Researcher) accreditation.